Following the inauguration concert of the Erasmus orchestra at the Festival of Europe 2017, in Florence, and the performances at Fair Didacta and in Strasburg, for the 30 years of Erasmus, the Indire’s national agency Erasmus+ has decided to ensure the continuity of the project by creating a list of musicians for future productions. 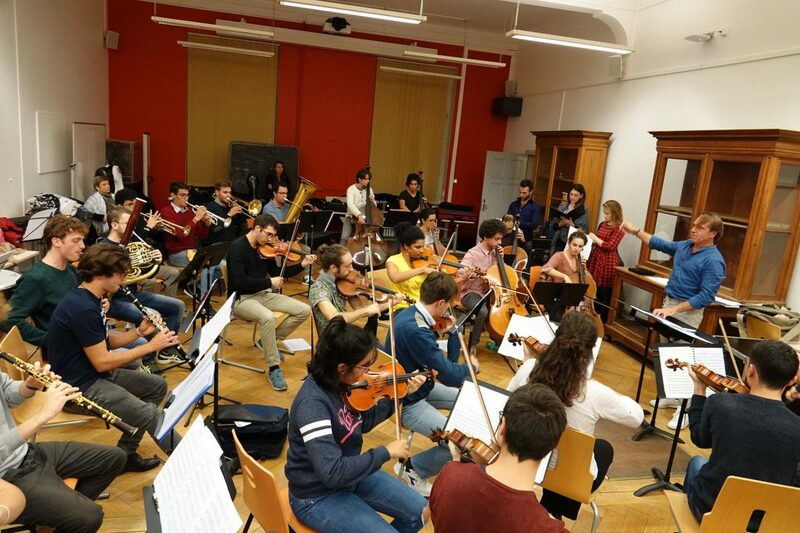 The Erasmus orchestra is the first orchestra entirely med up of Erasmus students from Italian conservatories and music institutes. The idea of forming an orchestra of students who took part or are taking part in a mobility project for study or training in Europe was born in 2017, on the initiative of the Indire’s Erasmus+ agency, on the occasion of the celebrations for the 30 years of the most famous Europeans mobility programme. The symbolic value of the orchestra is deemed very important by the Institute and prompted Indire to undertake the experimental project of this itinerant artistic ensemble that thanks to the universal language of music and arts, could represent, all over the world, the values of common identity. A list of suitable candidates will be drawn up through the call for expression of interest, in order to form the ensemble of the Erasmus orchestra. The list will be partially made up of the online applications selected by conservatories and music institutes on the Italian territory. The first performance of the orchestra, as resulting from the selection, will be on 8 May 2018 during the celebrations for the Festival of Europe. Applications can be made only online by representatives of national conservatories and music Institutes. A maximum of five students per institute can be proposed. In order to apply, it is necessary to fill out the form included in the call.